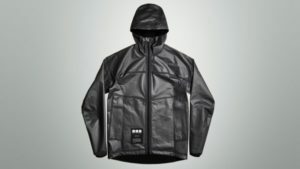 At $695 a pop, Vollebak’s new graphene jacket isn’t for everyone. But if even half of what its creators promise is true, it could be worth every cent. According to the company, it shares many of the magical properties of graphene–absorbing heat and then warming you up over time, conducting electricity, repelling bacteria, and dissipating your body’s excess humidity. According to Vollebak, it’s the world’s first jacket made out of the notoriously difficult-to-manufacture material.